The beer is kegged up, the tanks are polished, and we’re looking forward to this year’s Garage Brewed Moto Show. Bakersfield: An always busy spot with handmade tacos, tequila and plenty of whiskey. Their guacamole is legendary. The Eagle: People line up to get into this old post office space for their incredible fried chicken, great salads, amazing cornbread and hangover-curing Bloody Marys. Senate: Funked up hot dogs, poutine and truffle fries. Need I say more? Salazar: Salazar boasts local, seasonal creations in a small, cozy space. Can’t get in? Check out Chef Jose Salazar’s other restaurant, Mita’s, a spacious downtown spot serving up tapas and other Spanish style items. 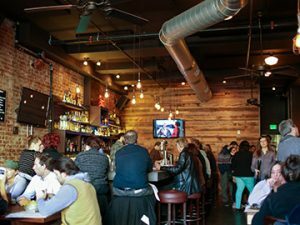 Maplewood Kitchen & Bar: Feels like a California beach house when you walk in; light and airy, but with seriously good brunch eats like Bistro Steak & Eggs and Chicken Tingas (they serve lunch and dinner, too). MidiCi, The Neapolitan Pizza Company: A few steps down from Maplewood, MidiCi is a new addition to the neighborhood. Thin crust Neapolitan pizza at its finest, with tasty cocktails to match. Somehow, we always end up with one of their Nutella calzones, too. Don’t miss it. Knockback Nats: A tiny dive bar, but they have the best smoked chicken wings around. Jeff Ruby’s: A Cincinnati institution. THE place for steak, cigars, cocktails and old school charm. Sundry & Vice: Vintage feel craft cocktail bar. Bonus? They have Old Fashioneds on tap. Motr Pub: Casual pub drinks and food, plus live music every single night. The Pony: New to OTR, The Pony has a retro menu and seriously good drinks in a sports bar setting. SOTTO: Upscale, romantic Italian food served in an underground cave. The ricotta donuts with dipping sauce for dessert are a must. AC Hotel at the Banks: The Banks is a restaurant and bar hub that sits between the football and baseball stadiums only a short streetcar ride away from Rhinegeist. The AC Hotel bar is a classic lounge bar, perfect for unwinding and enjoying a cocktail with a view of the Ohio river. Looking for Coffee and Sweets? we’ve got you covered. Coffee Emporium: Our local coffee stop in Downtown. In addition to a fantastic array of coffee and espresso drinks, they have great breakfast, lunch and grab-n-go items. Holtman’s Donuts: The BEST donuts in the city. Graeter’s Ice Cream: A Cincinnati classic for decades, see what all the fuss is about. Quaintrelle Confections: They have a homemade s’mores bar. Seriously. Buzzed Bull Creamery: Boozy. Ice cream. Ice cream desserts infused with spirits like bourbon, whiskey, rum or tequila. I never leave disappointed. 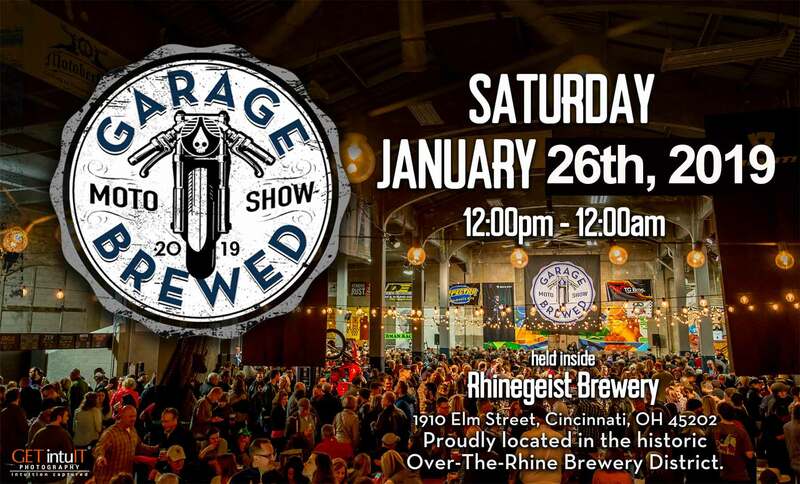 Whatever your taste, the eateries, pubs, ice cream parlors and coffee shops surrounding Rhinegeist will have you covered. So, come check out some of the most creative custom rides on two wheels, then stroll a few blocks for one of the best meals of your life.